And now some post-campaign pre-result analysis. I thought I’d take a risk and write this morning about the outcome of the campaign before knowing the result, if only to write honestly about the campaign rather than with the benefit of hindsight. The first was the election of Francois Hollande, which shook the Yes side badly, because here was a major player suggesting that the world will not fall in if we vote No. He stepped back from it a bit, but the damage was done, and a lot of soft Yes votes certainly started looking again at their choice. Richard Bruton’s accidental blurting out of a straight answer about a second vote was embarrassing, but then he wasn’t exactly letting a state secret out. For the No side, I’m not sure they ever quite recovered from the early part of the campaign where they struggled to answer the “yes, but where WILL the money come from?” question. Richard Boyd Barrett’s honest answer, through €10 billion in new taxes, was novel, as was Mary Lou’s new found respect for the IMF. In terms of bizarre aspects of the campaign, someone really needs to tell Nigel Farage that he isn’t helping the No side, God love him. By all accounts a decent and fun fella, he has the unfortunate ability to remind Irish people of the man sent by an absentee landlord to put you and your children off your quarter acre. Labour’s surreal bank guarantee posters had all the hallmarks of a gang of people who spend too much time in Leinster House scoring points in the chamber. Nobody gives a toss how Sinn Fein voted on the bank guarantee. It had the air of a political strategy designed using a protractor and graph paper. Pat Kenny’s performance on the Frontline debate. Hmmm. One other curio: I’m surprised how the right-wing Vote No to defund the Croke Park Agreement message never took off. I’m also surprised at the number of people who told me they were voting Yes because the treaty would stop future governments, especially a Sinn Fein government, from going hogwild spending, again, another argument you did not hear much in the media. Finally, a request: We don’t know the result yet. When we do, can we please be spared the “The people have spoken clearly and courageously/The people were obviously bullied” ding-dong of old? Please? Just watch how quickly our friends in the UK go from “plucky little Ireland” to “what do you expect from the Irish?” if we vote Yes. Why I am voting Yes. This is a strange referendum. Since the Nice Treaty, I have started every campaign on the No side, a believer in European integration but uneasy about the tawdry nature of the treaties, and the constant delay in addressing the Democratic Disconnect. During the course of every campaign, however, I have been driven to the Yes side by the hysterical, populist, opportunistic and reckless arguments of many of the major players in the No campaign, and a desire that my vote not be taken as an endorsement of them. It should be said, of course, that there were some on the No side who opposed the previous treaties for honourable reasons, but it was not they who made me vote Yes. This time is different. There are people whom I respect, whose political opinions are not that different from mine, who will be voting No, and for reasons that I may not agree with but can understand. This treaty, like its predecessors, fails to deal with the democratic issues within the EU and is only one part of an overall solution to the crisis this continent finds itself in. It is primarily, as Declan Ganley has pointed out, for political consumption in Germany. So why am I voting Yes? I agree with about 90% of what Declan Ganley says. I even agree with some of Sinn Fein’s arguments about the need for spending. But the No side cannot convince me that we will have access to vital funding if we need it. Moreover, if they were to succeed in achieving a No vote, and were proven wrong about funding, I do not believe that Sinn Fein or the ULA would do anything but immediately and shamelessly attack the government for the outcome. In short, a No vote will not be Sinn Fein’s problem but yet another tool for them to use in their populist easy answers campaign to win power in this country. After all, can anyone imagine any possible scenario where Sinn Fein in opposition would advocate a Yes vote? Any at all? It is Sinn Fein’s voters who will bear the brunt of social welfare payments being cut in the event of a lack of EU funding, and the fact that Sinn Fein are willing to take that risk with the people who vote for them shows a cold political calculating ability probably unmatched in this republic. Of course, Sinn Fein and the ULA maintain that the treaty will copper fasten austerity. This has for me raised the question of what they believe austerity means? It is not true, for example, that this treaty will restrict the ability of an Irish government to expand social spending. What this treaty will do will be to force future politicians promising public spending to openly explain who will pay the extra taxes required to fund their promises, something the ULA and Sinn Fein are deeply uncomfortable with. If anything, this aspect of the treaty is one of the few positive parts of the whole process, in that it may force those on the so-called Irish Left to openly espouse real socialist policies including the sacrifice of common taxes for the common good. This treaty will make politicians (on all sides) confront the reality of their promises, and for that reason, EU reasons aside, it is worth voting for on Thursday. David McWilliams’s producer, Mary Catherine Brouder, sent me this link to his latest Punk Economics film on the euro crisis. It’s very well put together and is a great example of how to communicate a complex issue in a digestible format. A bit long at nine and a half minutes, but that’s probably unavoidable given the subject matter. I don’t agree with all the analysis. Like nearly everyone on the No side, he seems to be advocating an enormous game of chicken with Germany with no plan as to how we handle the massive shortfall in cash if they call our bluff. Secondly, his suggestion that the ordinary German in the strasse disagrees with Angela’s refusal to bail out the rest of Europe is, how shall I describe it, novel? That seems to be the other unifying factor on the No side, that Ireland is the only real democracy in Europe. It’s worth watching. You can see it here. Just a few general observations today. Check out Greg Bowler’s excellent piece here on what happens if we vote No. I’m not sure I quite agree with everything in it, but it’s a fair picture. The Spoofer’s Guide to the Fiscal Treaty (Now with extra Ganley!) is available here. I see a poll recently announced that a substantial section of voters say that they still have little or no knowledge of the treaty. In the usual infantilisation (A word introduced to me by Pat Hynes for which I’m very grateful) of Irish voters no pollster seems to ask those voters what they have actually done to inform themselves? Both the Yes and No sides are pumping out information, as is the referendum commission. I’d love a pollster to quiz those voters as to what they have actually done to inform themselves. If you’re not going to bother informing yourself you can go to hell. Finally, a rant. Yeah, I know, shock, horror etc. What is it about the Irish and sunshine and litter? Seriously, who stands up in a park or on a beach, surveys the empty wrappers and cans, and walks away without feeling any responsibility whatsoever for putting them in a bin? And don’t start me on “the bins were full” crap. Bring it home with you. It’s your crap. This is one area where this liberal would happily horsewhip the bastards. We have to live here, God has given us a pretty beautiful country which other people are willing to pay to visit, and we don’t need to be throwing obstacles in our own way. St. John Huxtable (1930-2009) Performance Undertaker. Posted by Jason O on May 29, 2012 in Not quite serious. Huxtable having been expelled from the Kildare St. Club for "dressing like a ruffian." To St. John Huxtable, death was a cause for celebration of one’s life, and it was that extraordinary passion that made him a noted figure in the Dublin undertaking trade for years. It was Huxtable, operating, as indeed do a disproportionate number of the trade, from Dublin’s Liberties, who devised the concept of the personalised burial service. Not for him the staid murmurings of the Latin mass, but instead a ceremony that reflected the life of the deceased. It was he who, for example, gave the option of burying a deceased coal merchant in one of his own coal bags. The sight of the bag being carried up the aisle, corpse inside, on the shoulder of a burly colleague, would bring many a tear to a family member, as well as the occasional scream when the odd lifeless arm would slip out of the bag. Huxtable was incredibly sensitive to the needs of bereaved families, and his willingness to accommodate their needs got him an international reputation. In the 1980s he was nearly killed securing the corpse of a much loved Dutch windmill operator to one of the sails of his windmill, so that he could view the sparse Dutch landscape he had loved so much. Admittedly, the sight of a dead Dutchman occasionally appearing to hover over the tops of trees did cause an unfortunate spike in traffic accidents, but the family were deeply grateful. It wasn’t all success for Huxtable. In 1972, an attempt to fire a former uniformed member of Eoin O’Duffy’s blueshirts from a cannon into the sea, as per his dying wishes, went disastrously wrong. A combination of changing high winds and over-enthusiastic use of gun powder resulted in a burning fascist cadaver being fired through the bedroom window of the Chief Rabbi of Ireland, an incident which soured all concerned. In later years, following his retirement, Huxtable focussed on improving the trade. Always concerned about the wellbeing of his employees, he strived to create a self propelled remote control casket which would save his employees from potential back injury. The initial testing resulted in a fiasco when the casket malfunctioned and was last seen barrelling down the North Circular Road at high speed, before being machine gunned by an off duty Special Branch officer at Hanlon’s Corner. As one passerby commented, on viewing the bullet riddled coffin: “Ah Jaysus! Hasn’t he suffered enough already?” A sentiment that would very much sum up Huxtable’s attitude towards those in his care. 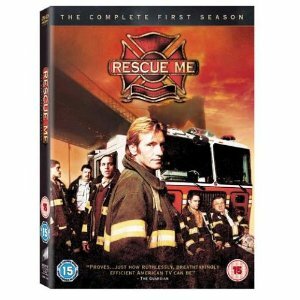 Great TV you should watch: Rescue Me. I’ve just finished watching the final episode in the final season of “Rescue Me”, which has prompted me to rerun this review from two years ago. Enjoy. Let me be clear: “Rescue Me” is the best show on TV at the moment. Telling the story of 9/11 survivor Tommy Gavin (Denis Leary) and his fellow firefighters in a Manhattan station, this show has everything from drama to laugh out loud humour, and follows the life of Gavin, a recovering alcoholic working class Irish-American (a background which plays a big role in the series), his workmates, and his family. The humour is politically incorrect, the language can be strong, and the supporting cast are nothing short of magnificent as it deals with every issue with a surprising deftness of touch. I’ve never understood why this show is not as big as The Sopranos, as it is far more entertaining. Get season 1 as a stocking filler for someone this Christmas. You’ll be doing them a service. If you have not seen the whole seven seasons yet, I genuinely envy you. 5 things that might help save Europe. Let’s be honest: the eurozone crisis is not all that is wrong with Europe, but the final straw that did the damage, bringing to the surface pretty much every grievance and complaint people have about the European Union and the process of European integration. And guess what? A lot of it is true. It has been a top down process, and whilst the union is not the EUSSR that the headbangers describe, the truth is, it is not a democracy by any standard that any member state would recognise. Many eurosceptics raise legitimate points of criticism. Having said that, the inability of European leaders to act courageously has been caused primarily by the failure of those same leaders to explain the need for European integration to their own people. Yet it has worked, and even the most ardent of British eurosceptics still want to preserve many of the aspects of the union, in particular the single market. Here are a few things that I think we should consider to save Europe. 1. Eurobonds. We need to deal with the massive debt. At the same time, Germans, Finns and others can’t be expected to just carry the burden. They fear, not unreasonably, that in the middle of their apple strudel in the great European restaurant every other country is going to suddenly leg it for the door stiffing them with the bill. Supposing we agree to create eurobonds, issued centrally by the European Council, with the contributory nations like Germany having a veto over the amount raised, and with the specific spending of those bonds controlled directly by the Commission. This is not Daddy writing another cheque to be spent on beer, but Daddy paying for your college fees directly in the hope it gets you a paying job. Those member states that require them must sign up for the Fiscal Compact, and cede their right to issue national bonds. A EU-wide tax on a common commodity (Petrol?) could be levied in the countries using bonds to create a revenue to pay down the bonds, and possibly pay compensation to those countries who have higher borrowing costs having ceded national bonds. Consideration could also be given to the temporary transfer of public revenue raising assets like airports or toll roads as collateral against the bonds. An act, incidentally, that would create a powerful EU-owned multinational corporation to manage those assets on behalf of the union. 2. Such a radical proposal should be put to the electorate of each country wishing to have access to eurobonds, to seek a democratic mandate for the tough fiscal discipline required.Those countries that vote No do not get access to eurobonds. 3. We also need to recognise that the union must offer different things to different countries. Some countries see the benefit of a closer union, perhaps even a federation. Others want access to the single market. It’s time that we negotiate those two different types of membership, and the option of complete withdrawal, and let every member state vote, on the same day, on a new variable geometry settlement, letting their people choose which form of membership they sign up for. In short, for Europe to survive as a project, it must receive a mandate from the people of Europe. 4. For the inner core, the Democratic Disconnect has to be resolved once and for all. The people of Europe should elect directly a combined Commission/Council president of the eurozone. Throughout this European crisis, it has become very apparent that no one speaks with a mandate for Europe as a whole, despite the fact that this problem cannot be solved by any single country. It’s like a soccer team without a manager, no one is in charge of the big picture. The phrase “faceless unelected bureaucrats” has got to be destroyed, and only the people can do that with their ballots. Also, member states should commit, over a ten year period, to holding national elections within the same 12 month period. The constant cycle of elections in Europe is contributing to paralysis, and needs to be addressed in a way that does not damage the democratic legitimacy of national politics. 5. Europe needs to create a European Defence Force. This may sound like a strange issue to bring up in the middle of a financial crisis, but it matters. EU countries spend nearly 70% of what the US spends on defence, yet were nearly beaten by Libya. By creating a small but well resourced EDF (alongside, not replacing national armies) Europe could free up national forces (and money) from combined operations like Somalia, Libya and Afganistan whilst allowing member states to get better military capabilities for less money by reducing duplication. After all, the EU has more soldiers than the US. These are just ideas, flaws and all, that I’m throwing into the pot for discussion. Will they work? I don’t know. But I do know that Europe has failed throughout this crisis to get ahead of it and come up with a solution bigger than the problem. Maybe it’s time to think big, because the potential for failure, and its cost, will almost certainly be bigger. Additional: my apologies with regard to US/EU defence spending. Read the data wrong. EU defence spending is closer to one third of the US. Mary Lou puts her voters where her mouth is. So, what actually happens if we vote No? The Yes campaign say we’ll have no access to funds, less influence, send a bad signal to investors in Ireland, etc. But what’s more interesting is what the No side are saying. What are they claiming a No vote will deliver? 1. It will allow a renegotiation of fiscal severity. Hmm. See, the problem with that is the fact that even Francois Hollande accepts that we have to have a curb on spending. Curbing unaffordable spending is not an ideological thing, it’s the reality of matching resources to demands. It ain’t going away. 2. A vote against the “austerity treaty” will presumably mean no extra austerity, right? After all, they say the treaty will force extra austerity, so therefore a No vote will either reduce the need for extra cutbacks or even reduce the current need? I don’t actually believe this, but this is what they are essentially promising. Just look at Paul Murphy’s posters. Remember how the Yes campaign got (rightly) hammered for “Vote Yes for Jobs”? A No vote is a vote to reverse austerity apparently, through positive energy, angel power, prayer, pretty much anything except actual money. 3. If we need extra money, it will be found. This is the one. 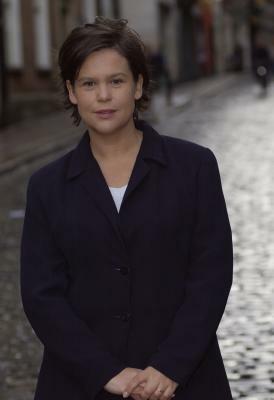 Mary Lou McDonald has pledged that the money will be made available. She has given us her word. In fact, you have to admire her integrity in putting the very day to day existence of her core voters on the line, because if we have to cut, it’ll be social spending that bears the brunt. Like a big pile of casino chips, Mary Lou has pushed her own voters into the middle of the green baize, such is her belief that she has the winning hand. You have to admire the courage. 10 things about British Politics as observed by an Irish political anorak. Posted by Jason O on May 21, 2012 in British Politics, Not quite serious. 1. The Lib Dems need to rebrand as “the handbrake party” that keeps the Mr Hyde side of the Tory party at bay. In Tory/Lib Dem marginals, Labour voters need to be made understand that, whilst UKIP leaning voters need to be irritated into wasting their votes. 2. UKIP has the potential to f**k up the Tories for years, potentially even forcing them to learn a lesson from Australia and do a u-turn on AV. 3. The media obsession with political trivia (Did Cameron ride a horse/eat a pasty, and when?) needs to be confronted by politicians. Seriously, would it have killed Cameron to say that he didn’t like pasties? 4. Labour’s client vote (public sector plus welfare reliant) beats worries about Miliband every time. A party does not need a popular leader to win an election. Look at Ted Heath. 5. Conservative Tories banging on about too much govt attention been given to gay marriage are the reason so much attention is being given to gay marriage. 6. Unionism, of the Tory variety, is going to die out much faster than anyone realises as a generation of English Tories no longer see the point of subsidising ungrateful Scots, nor any political gain from it. 7. Given the fact that European Federalism (under a different name) is now back on the agenda, a referendum on British membership of the EU in the next ten years must be inevitable. 8. If House of Lords reform is going to create just another house of party hacks, what’s the point? A more honest reform would be to allow the editors of the Mail, Express and Sun to nominate a cabinet minister each, regardless of who actually wins the election. 9. The Tory/Labour logic that having party funding scandals every six months is less damaging to politics than banning all donations and funding parties from the state coffers is flawed, especially as voters could have the final say on which party gets a donation in their name. 10. People will look on the monarchy differently when Queen Elizabeth II passes away. Charles will come under pressure fairly quickly after assuming the throne to set a date for passing on to his son. The tabloids will demand Queen Kate whilst she is still young. Kate Midleton is the most powerful woman in the Royal Family now, not the queen, in that she can do the most damage to it. Angela's Ashes? Merkel decides the future of Europe. We can dress the whole Europe debate up in a ballerina’s dress and call it Mary if we like, but the reality is that the future of the European Union hinges on two things: 1) Will Germany save it, and 2) How will Germany come to its decision? Somewhere in the Federal Chancellery there is a team working on two sets of numbers. The first is the cost to the German taxpayer of leapfrogging this crisis by supporting Eurobonds, quantative easing, and the political unification of the eurozone. The second number is the cost to Germany of a collapse of the eurozone, the baling out of German banks, and with it a rush to “temporary” tariffs and protectionism within the single market. There are other factors too, but this is really the heart of the matter. Talk of war in Europe is a bit silly, if only for the fact that the one thing Europeans hate more than cutting social spending is increasing defence spending. But a new Europe with a very powerful new Deutschmark pricing out German exports, coupled with populist politicians trying to keep out “unfair” competition from southern countries (and maybe Ireland) is not in Germany’s interest either. Finally, and this is something that British and Irish audiences don’t quite understand, there is the political factor. 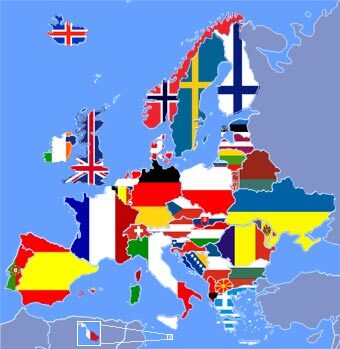 Support for European unity runs far deeper in the political structures of most continental countries than we grasp. British eurosceptics constantly remark that the euro was a political project, as if that is a killer argument. It was. It was supposed to be, and whilst it is malfunctioning from bad design, the fact with European integration is that it has been the great success story of post-war Europe. Every week, ministers from powerful Germany to tiny Malta meet to discuss how we solve common European challenges. We don’t pretend that all are equal, but there is an equal respect and an equal right to be at the table where decisions are made. Without the EU, Germany could make decisions on her own, and we would be dragged along in her huge economic gravity field. But here’s the funny thing: Modern Germany does not like being put in that position. That’s the other factor we don’t get: Germany, whilst defending its own interests like every other country, would still rather be part of an agreed gang. That’s how German politics works (the Bundesrat nearly always ends up controlled by the opposition) and that’s how they’re most comfortable. 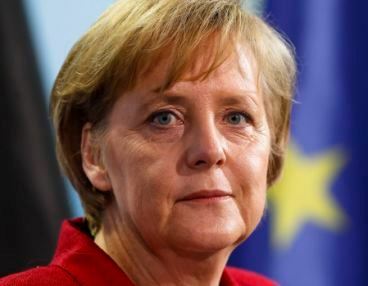 With Spain too big to save, we’re now in the endgame, and Chancellor Merkel has to make a decision which will shape Europe for the next fifty years. Effectively, she is going to be the mother of a European Federation, or she is going to let the post-war European settlement break up. Churchill or Chamberlain, FDR or Hoover. This is the league she is now in, and the decisions she makes will shape how children learn of her in 2062, either from her portrait on the wall, as a founder of the United States of Europe, or as a footnote explaining how Europe became a Chinese-owned economic backwater. It really is that important.